Top of the line professional wine serving cabinet with presentation shelves for restaurant and commercial use. Housed within a professional showcase. 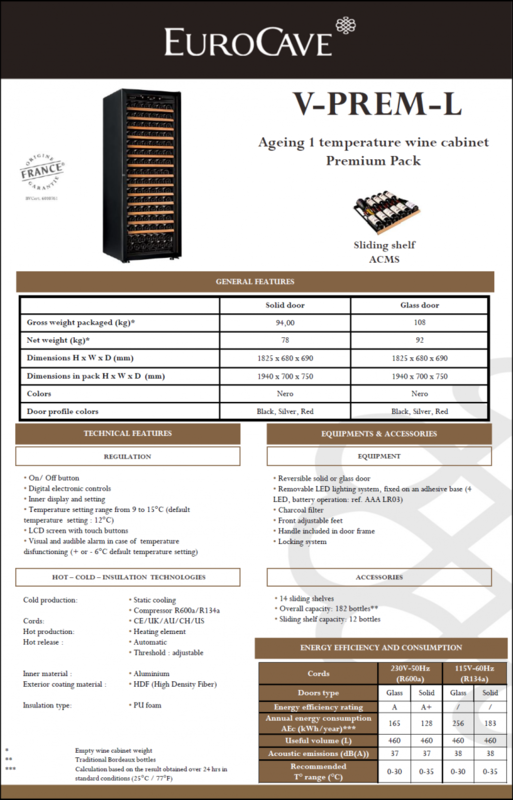 90 bottle capacity. Main de Sommelier shelving. Ideal showcase and display for restaurants and hotels. INOA compressor located at the top of the cabinet. 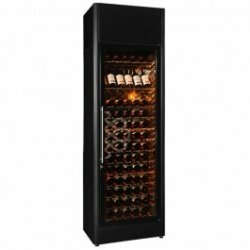 Serving Temperature cabinet ideal for presenting wine for immediate purchase and consumption. 15°C to 25°C - temperature range is the suggested environment for the room in which the cabinet is to be positioned This cabinet is NOT designed to withstand a wider range of exterior fluctuations as the other EuroCave cabinets are.